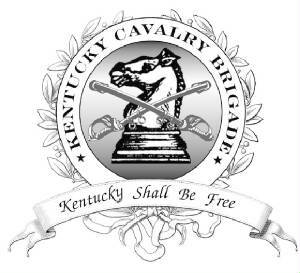 The Kentucky Cavalry Brigade is a brigade-level organization of reenactors and other living historians who portray the soldiers of the famous Kentucky brigade in the Confederate Army of Tennessee, of the American War Between the States (1861-1865). It's "members" are independently organized artillery, cavalry, infantry and supporting reenacting groups who have come together to work in a coordinated body for certain events through the campaign season. The member units are from Kentucky, Ohio, Indiana, and Tennessee. It is important to note that the Brigade is an "umbrella" organization composed of a number of independent reenactor units. Individual troopers hold membership in their respective independent units and the unit holds membership in the brigade. This is very similar to the actual War structure, in which individual units belonged to their regiments and battalions, and those units in turn comprised the Brigade. Suppliers,Buy & Sell, Research Links.